Are you looking for some easy homemade soap recipes? We've collected a ton of clever tutorials that will teach beginners how to make homemade soap bars and bath products. 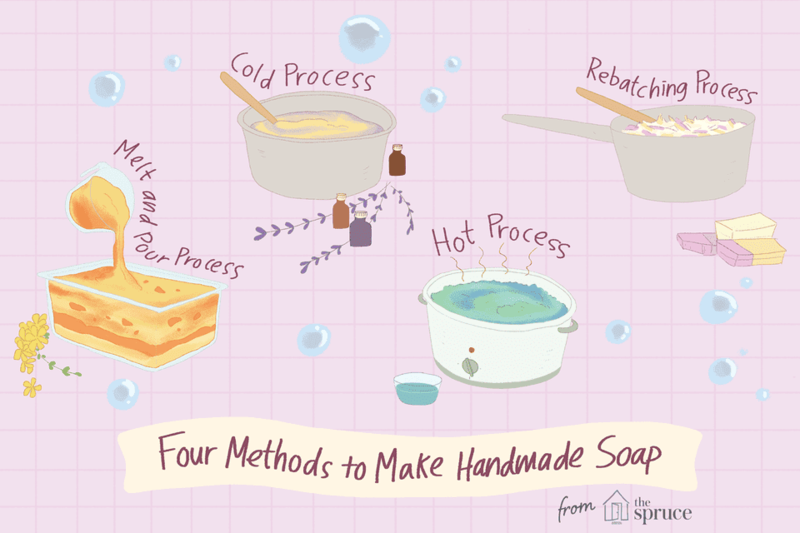 Before you get started, take a moment to familiarize yourself with the most common methods of soapmaking. Some of these processes are easier than others. Knowing how each one works will help you decide which tutorials you want to tackle. Make sure to read all the instructions for each soap and take any necessary precautions. Some of these examples use lye, which can burn the skin and eyes if you're not careful. This soap recipe is simple because it uses a melt and pour base that is pre-mixed and ready to go. No need to work with messy chemicals! The citrus slices are something you'd only find in handmade soap. The best homemade soap recipes pair quality ingredients with creativity. Aside from being nourishing for the skin, try to set your soap apart from bars you'd find in the store by adding texture and color. Loofah soaps are extremely easy to make when you purchase a melt and pour soap base. All you need to do is melt the base and add any extras, cut the loofahs so they fit in the mold, then pour the soap on top of the loofah. When making soap from scratch, try to find a simple soap recipe that utilizes oils you might already have in your kitchen. You can also examine your pantry for other ingredients that would work well in a bar of soap. In this case, green tea is used alongside eucalyptus and lemongrass essential oil. We love this soap recipe because it is perfect for a relaxing spa day. If you find yourself stressed out and tense, consider adding lavender essential oil to your soap blend for instant relief. Some DIY soap recipes call for color additives like mica or food coloring. This blend is much simpler because the color comes from the essential oil mixture instead of a dye. Easy homemade soap doesn't have to be boring. This particular soap recipe saves time by using premixed soap bases but does require some patience in order to create even layers. Not all homemade soap needs to be in bar form. Consider tackling a handful of fizzy bath bombs instead. Aside from the bath bomb molds, you might find all the ingredients inside your kitchen pantry. This recipe for homemade soap utilizes a glycerin base in order to easily mold and shape the final product. Once a basic soap base is formed, the soap is then cut and carved into small crystals that are used to create a larger crystal specimen. Homemade soap can make simple tasks like washing your hands easier and more fun for kids. If your child is using way too much liquid soap after using the bathroom, consider transforming that liquid soap into a gummy instead. This soap recipe is so simple that it only requires four main ingredients. Milk and honey is a classic soap combination that is great for the skin, but the soap is infinitely more charming when you use a honeycomb mold like this one. Bath salts make a great gift because they are easy to make and customize. Experiment with different essential oil blends and soap colorings. However, keep the color consistent with the scent. For instance, you wouldn't want to color your salts a mint green if the fragrance is lavender. Many soap making recipes use common ingredients like milk, honey, and essential oils. However, many food products will work so long as the soap is used within a reasonable amount of time. Got some spare walnuts? Throw them into the mix! It's tempting to want to add a ton of ingredients to your soap recipe, but sometimes simple is the way to go. If you're giving soap as a gift, consider keeping the fragrance something most people would enjoy. Sugar scrubs are a luxurious exfoliant that can help revitalize your skin. While you can buy these in the store, they are extremely simple to make. It's possible you'll have most of the ingredients already on hand. An important benefit to making your own soap is that you can tailor the recipe to your skin's needs. If your skin is dry, try a moisturizing milk base. On the other hand, if your skin is acne-prone, consider adding clay to help remove impurities. 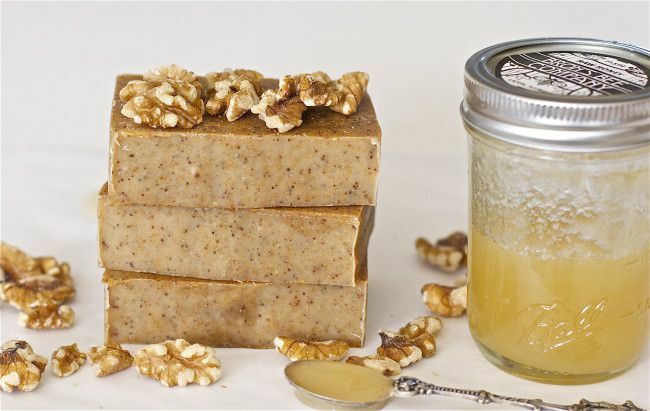 Oatmeal is used to soothe sensitive skin and is a great addition to any soap recipe. If you find that the oatmeal falls a little flat, the ingredient pairs really well with an almond scent. One of the most effective ingredients for helping with sore muscles is Epsom salt, and it's easily added to melt and pour soap bases. This cold process soap has been designed to be gentle enough to use on your face. If you have extra sensitive skin, substitute the coconut oil for babassu oil instead. These pretty little soap bars make the perfect addition to any bathtime routine. They work so well in adding bubbles to the tub because the main ingredient is a liquid bubble bath.